President Buhari’s silence translates as nonchalance towards his creditors, all Nigerians. Sadly, this indifference is the default, if feckless, attitude of those who occupy the space of leadership in Nigeria. These are the men and women who take the most from Nigeria but give back the least. Think about it: since assuming the presidency, has Mr. Buhari offered a serious policy statement about his country’s healthcare sector? On January 21, I was having drinks and talking literature with some friends at 805 Restaurant in Old Kent Road, London when my phone rang. The caller was a friend resident in Sweden. “Is it true that President Buhari died?”, he asked the instant I answered his call. He’d seen it on an online British newspaper called the “Metro,” he said. The “newspaper” reported that the Nigeria High Commission in London had confirmed the news. I suspected that the whole affair had to do with one of the world’s latest scourges: blatant falsehood and rumors packaged as credible news. I told my friend I was going to check and get back to him. I shared the conversation with my friends at the restaurant. Two of them happened to know two high-level officials at the Nigeria High Commission. They called those contacts. Within seconds the verdict was in: there was no substance to the report. It was false, an invention of mischievous minds. The so-called source, the “Metro,” was a brutish clone of a venerable British press. The next day, the presidency in Abuja officially denied the report. In the intervening days, I had expected that President Buhari and his handlers would do more to lay the rumour to rest. Instead, the president’s spokesmen went into arrogant mode. One of them, in the vein of a cane-wielding stern teacher, scolded Nigerians for their habit of wishing their leaders dead. Another, justifying the president’s unwise silence, simply said nobody could compel Mr. Buhari to speak if he chose not to. In the event, the presidency’s choice of silence was unwarranted and ungolden. It all amounted to poor statecraft on the part of the Nigerian president and his advisors. If those around Mr. Buhari had counseled him to remain taciturn, then, pure and simple, they gave him wretched advice. In electing to be tightlipped in the face of rumours of his death or his grave illness, the Nigerian president displayed a habit of disdain for his country, its citizens and their collective fortune. Serious leaders recognise that such rumours do have real consequences for a country’s economy and politics. In many instances, stock traders and other investors become fidgety when the health of a country’s leader is perceived to be shaky. That’s why astute leaders move with alacrity to dispel such. 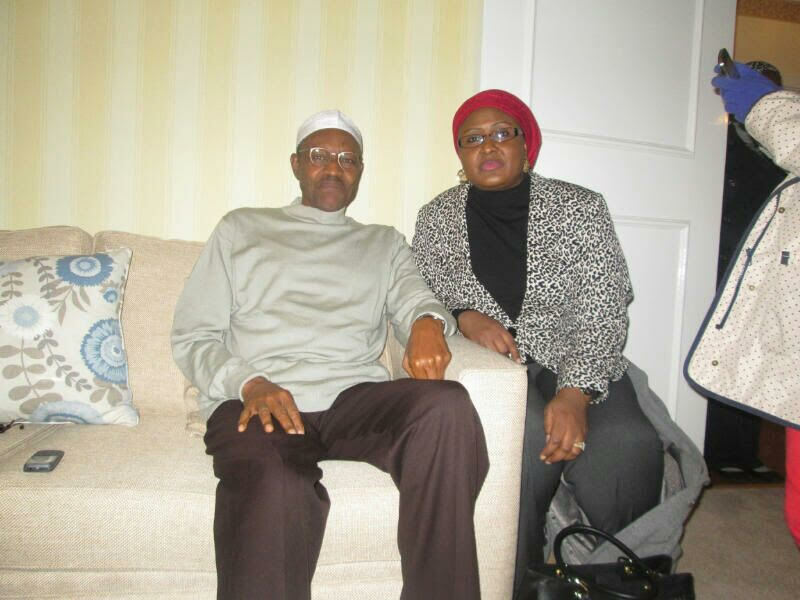 Last week, one of the president’s spokesmen told the media that he believed Mr. Buhari was in fine shape because the president’s chaperons in London had told him so. He revealed that, in numerous attempts, he had not spoken directly to the president, only to those around him. Unless the president was awfully sick, his failure to get on the phone to his main spokesman was irresponsible. One isn’t arguing that President Buhari should give Nigerians a blow-by-blow account of his state of health. My argument is that he owes us far more transparency than he and his handlers have exhibited. That point should be underlined: It is not up to Mr. Buhari to decide whether we receive reliable information or not. He has an ethical and political obligation to provide that information. Heck, we, the citizens of Nigeria, are paying for every second of his time in the UK. I bet his medical bills are paid from Nigeria’s public funds. We’re paying for his accommodation, his food, his transportation, and his electricity, in the UK. And we pay for the retinue of officials who attend to him during any foreign mission he undertakes for medical treatment. Imagine for a (ridiculous) moment that British Prime Minister Theresa Mary May were to fly to Nigeria to receive medical care from some state-of-the-art hospital in Shomolu-Bariga. You can bet that, on a daily business, the PM’s staff and the medical doctors handling her treatment will issue bulletins on Ms. May’s progress. Reporters from Britain and elsewhere in the world would know the specific condition for which she was being treated, the location of the hospital, and the identities of the doctors overseeing her care. You would not see anything resembling the secrecy that President Buhari and his associates have orchestrated. If she could, Ms. May would speak to her spokespersons and even reporters. President Buhari’s silence translates as nonchalance towards his creditors, all Nigerians. Sadly, this indifference is the default, if feckless, attitude of those who occupy the space of leadership in Nigeria. These are the men and women who take the most from Nigeria but give back the least. Think about it: since assuming the presidency, has Mr. Buhari offered a serious policy statement about his country’s healthcare sector? Has he articulated a vision for providing sound healthcare for Nigerians? I’m yet to see proof that he has given even passing thought to the subject. Yet, when his ear aches, off he runs to London. When he needs medical checkup, again the presidential jets are revved up for the jaunt to the UK. Do Nigerian leaders have no sense of shame—or, even, of irony? When was it heard that a councilor in Germany, France or Britain flew to Nigeria for treatment? Yet, Nigerian ministers, governors and presidents, men and women who inflate themselves into “transformational” leaders, who boast of having “totally transformed” this or that space in Nigeria, gleefully announce their departure to the UK and other foreign addresses for medical care. When did Britain become part and parcel of Nigeria’s medical landscape? With all the billions budgeted for the presidential clinic in Aso Rock, why doesn’t the president receive medical care there? Why must he repair to London for rest? Why won’t he do what other leaders do, retreat to spaces within their own countries when they desire quietude? In 2012, former First Lady Patience Jonathan spent six weeks in a German hospital receiving treatment for an undisclosed ailment. Nigerians paid for her treatment, yet neither her office nor her husband’s considered us deserving of being told the truth about her whereabouts. It took online reporters to reveal that Mrs. Jonathan was sick, and hospitalised in far-away Germany. That’s also my challenge to President Buhari. Nigerians are some of the top doctors in any field of medicine. Take your sickness as an opportunity to envision and create a coherent healthcare policy for millions of other sick, suffering Nigerians.